Classic car articles including monthly Featured Guru stories, classic car Events coverage and Car Club interviews. Be sure to check out the progress of our Classic Car Project, a 1957 Chevrolet Nomad. Classic Jaguar Enthusiasts’ Club Inc. In the early 1920s Edward Lyons and William Walmsley started designing sidecars for motor bikes and in the late 20s began building bodies for various cars, most notably Austin and Standard. They soon branched out to build their own cars on chassis and mechanicals supplied by Standard Cars. These were the SS1, SS2, SS90, SS100 and the bigger sedans, the2.5litre and 3.5 litre. During the Second World War production was suspended, but was taken up again immediately after the war ended. However the name SS was deemed inappropriate and the Jaguar was born. 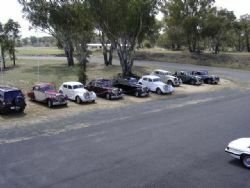 The post war cars were very similar to the pre war cars and three models were produced, the 3.5 litre, the 2.5 litre and the 1.5 litre sports sedans, joined in 1948 by the 3.5 litre drophead coupe. 1948 also saw the development of the 3.5 litre overhead cam engine for the XK range and later sedans and was used for many years. The current club had its origins in get togethers of people with an interest in the older Jaguars. 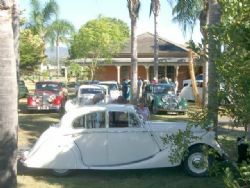 These gatherings were held on an irregular basis, at different peoples houses in Brisbane from 1984 until 2001. 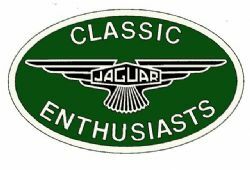 In that year it was decided to incorporate as a club and the Classic Jaguar Enthusiasts’ Club Inc was formed. The club caters for people owning, restoring or with just an interest in Jaguars with a chassis. It draws most of its members from Queensland but there are quite a few members from NSW. The club holds various runs during the year with at least one five or six day run, usually into NSW. In 2008 the run was to South West Rocks. 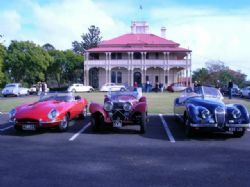 Every three years there is a run to central NSW where the club meets with the Victorian SS Register and the South Australian Classic Jaguar Club. The club produces a quarterly newsletter.